Humans love to challenge mother nature, and twist her into meeting all kinds of needs. Two examples would be the lost tombs of Peru, and the largest reservoir in the world (Lake Volta, found in Ghana). Though rockfalls kill motorists and wildfires devastate whole cities, nothing is as fierce and angry as a torrent of water (ex: click HERE to see pictures from the Teton Dam failure of 1976). Rivers can be diverted, and streams forded. But what does one do when attempting to tamper with the ocean? Spring Point Ledge Lighthouse, and its breakwater extend into Casco Bay. South Portland, ME. Maybe it’s because I almost drowned as a kid, but I’ve always had a fine respect for water; especially the ocean. Maritime ingenuity is also some of the oldest in the world. Things like jetties and breakwaters, which discourage wave intensity and protect harbors, come from natural phenomenon such as oceanic reefs (read more HERE). The shape, distance from shore, and materials used all depend on the depth of the water, energy of oncoming waves, and general needs of the harbor. But in the end, it’s all about protecting the coastlands and sea vessels from a relentless and angry sea. Though these ocean structures have lent a hand to our ongoing efforts, recent catastrophes in NY and NJ due to Hurricane Sandy prove that we have a long way to go if we hope to understand and respect the ocean. 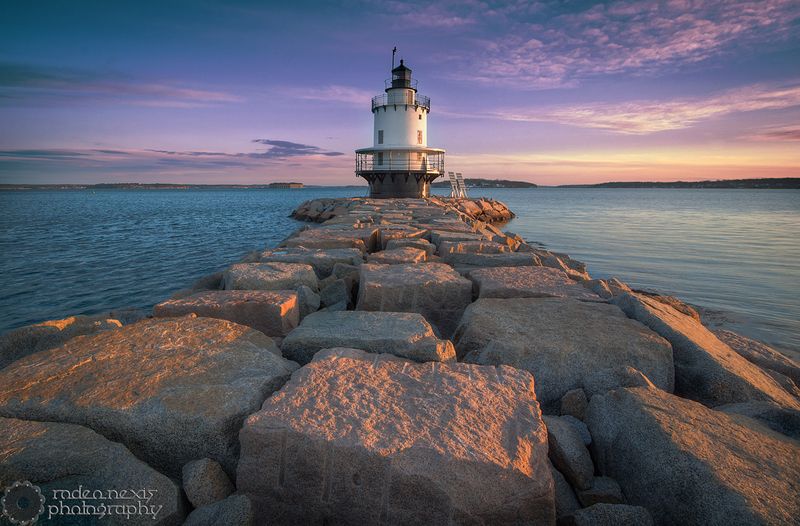 Click HERE to learn more about breakwaters, and Spring Point Ledge Lighthouse (image shown above).